Latest community news & announcements for Super Store Finder. You can subscribe to our notifications by clicking the bell icon at the bottom of the page to receive latest news on product updates, new plugin features and many more. Feel free to posts general discussions about Super Store Finder products and other general related topics here. Post your feedback and suggestions that you may have and our staff and community members might be able to have a look. Have any features and ideas to improve Super Store Finder? Create a post and we will towards putting your feedback and ideas in the upcoming product releases. This is an overview of the all-new Mega Locator Theme add-on which will require Super Store Finder. You can view the live demo of this theme here http://superstorefinder.net/megalocator/ This theme is suitable when you have many outlets world-wide and would like to showcase them to your customers. In addition, this theme is tailor-made to be user friendly with smartphones, tablets and touch screen devices. Super Interactive Maps is a fully-featured WordPress Plugin integrated with Google Geochart that allows you to create maps of country, content and regions as well as add interactivity such as map markers, interactive pop up (video/text/images), colored regions/markers and many other cool features. This plugin uses Google GeoChart API to create SVG and Vector Maps. This is a responsive plugin and fully compatible with the latest WordPress version (v4.4.2) and Visual Composer. Super Logos Showcase is a plugin to showcase logos and brands on your website that is tailor made for full-width website template and mobile responsive view. This is an responsive theme add-on for Super Store Finder application that features improved and enhanced responsive theme for this store locator, request add store and admin area. Transform your ordinary WordPress Comment into this Interactive New Look with upload images and also displays videos from popular sites such as YouTube, Vimeo and many others. Create a more engaging collaboration tool for your website or blog today. 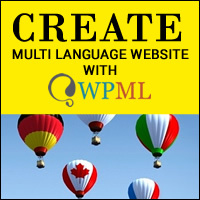 This plugin is mobile-friendly and fully compatible with the latest WordPress version and supports all WP Themes. Need some custom work done for your store locator, mobile apps, wordpress plugin and php development? Just send a request to us here http://codecanyon.net/user/highwarden or post topics for the community to help. For Wordpress Customization request, you can post them here or request via codecanyon profile page.